The Treepee® is an exciting new product that combines the timeless appeal of a tree house with the excitement of aerial suspension and a trampoline to create a whole world of possibilities. Zipped safely inside, standing Treepee® riders, once they get their balance, can experience a surfing/snowboarding sensation without any worries of falling. 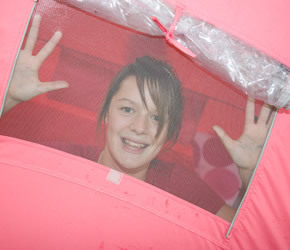 The less adventurous can simply ‘hang out’ with their friends in their own private space away from mum and dad. 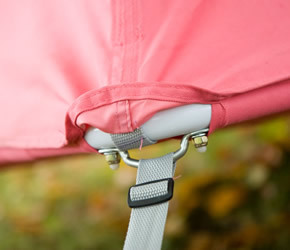 4 tethers, one on each corner, allow the Treepee® to be secured for a less mobile ride. There are pockets on the inside for storage and a bag on a pulley allows essential supplies to be hauled up into the ‘den’. Bug nets on the windows allow air to circulate without letting critters in. 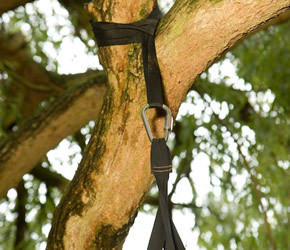 A maximum hanging height of 0.5m is recommended. 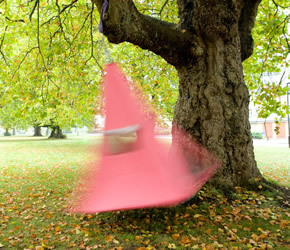 The Treepee® measures 1.5m x 1.5m x 2.6m. 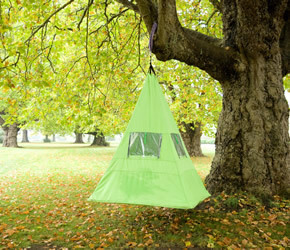 The Treepee® comes in Green, Khaki and pink. 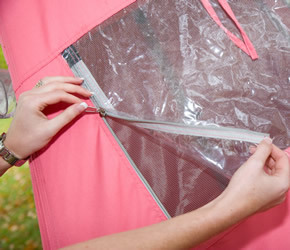 The fabric is fire retardant, water repellent and PU coated. 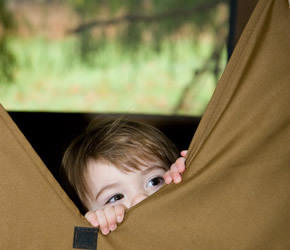 The Treepee® complies with the following current European standards for toy safety: EN71-1, EN71-2 , EN71-3, BS7914. 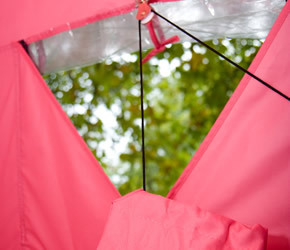 The Treepee® carries the CE mark. 10 – 12 Weir Rd. 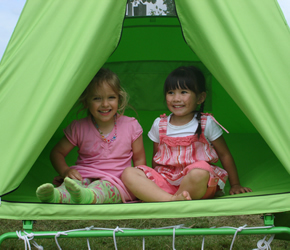 Treepee® is a registered trademark in the UK of Live Life Outdoors International Ltd. 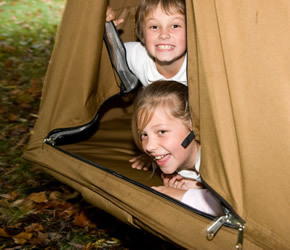 Copyright ©2007 Live Life Outdoors International Ltd. All rights reserved.